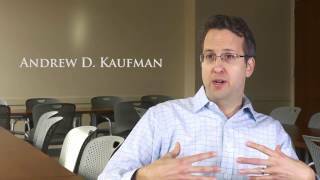 In 2009 University of Virginia Lecturer Andrew D. Kaufman founded “Books Behind Bars: Life, Literature, and Leadership,” a community-based literature course that takes his university students to a maximum security juvenile correctional center in Virginia once a week for ten weeks. 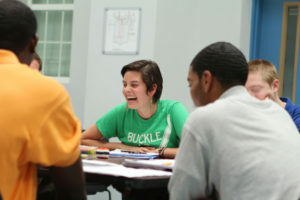 Books Behind Bars: Life, Literature, and Leadership is an educational program in which university students meet weekly with incarcerated youth at a maximum security juvenile correctional center to explore questions of meaning, value, and social justice though life-changing conversations about Russian literature classics. 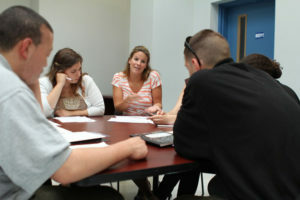 Participants discuss personally relevant topics ranging from family to death, and success to moral responsibility. These interactions become the catalyst for both groups to learn from one another and share their most intimate human stories, while at the same time forming powerful connections and challenging whatever stereotypes about the other group they may have entered the class with. 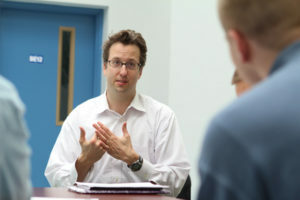 Correctional center residents and university students come away transformed by this unique educational experience—moved by their discovery of the relevance of classical literature, inspired by the humanity in one another, and empowered to pursue lives of greater purpose and meaning. Having completed its ninth year, Books Behind Bars has been featured on the Today Show, in the Washington Post, the Chronicle of Higher Education, the Moscow Times, on Katie Couric, NPR, and Russian national television. Seats at the Table, a feature-length documentary about the program, had its world premier at the Global Peace Film Festival in Orlando in September 2018. Seats at the Table is a feature documentary film which depicts Andrew Kaufman's Books Behind Bars class that brings together university students with residents at a maximum-security juvenile correctional center through the study of classic works of Russian literature.